All winery visits require an appointment. Appointments are available daily as early as 10:00 am and as late as 3:00 pm. Keever Vineyards is a small production, family-owned and operated winery located in the western hills just south of Yountville. The consulting winemaker, Celia Welch and the Keever family make exquisite and elegant wines, including our estate Cabernet Sauvignon which is 100% Cabernet Sauvignon made exclusively from grapes from the estate's six acre vineyard. The Tasting Room is both elegant and cozy, designed and decorated with an early California feel. It features a two story window looking out over Yountville. The tasting room feels like an extension of the Keever's home, which is on the property. Food Available: Wine and Cheese Pairing by advance appointment. To join the wine club, visit www.keevervineyards.com or call 707-944-0910. 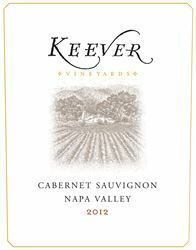 Members of the Keever Vineyards Wine Society will automatically receive an assortment of six bottles of Keever Vineyards wines twice a year, and you can be sure that each and every shipment will include two bottles of our fantastic Cabernet Sauvignon. Think of it as “Six Every Six” – arriving at your door and you didn’t have to do a thing to make it happen. That’s our Connoisseur level. We also have a Sommelier level and a Master of Wine level.